Inquire or BOOK KINGS RANSOM NOW ! It is seldom that any charter catamaran stands head and shoulders above the rest, this gorgeous Caribbean charter catamaran does just that, from looking at the outside with her sleek modern lines, Kings Ransom has set a new standard in the luxury catamaran charter yacht industry. 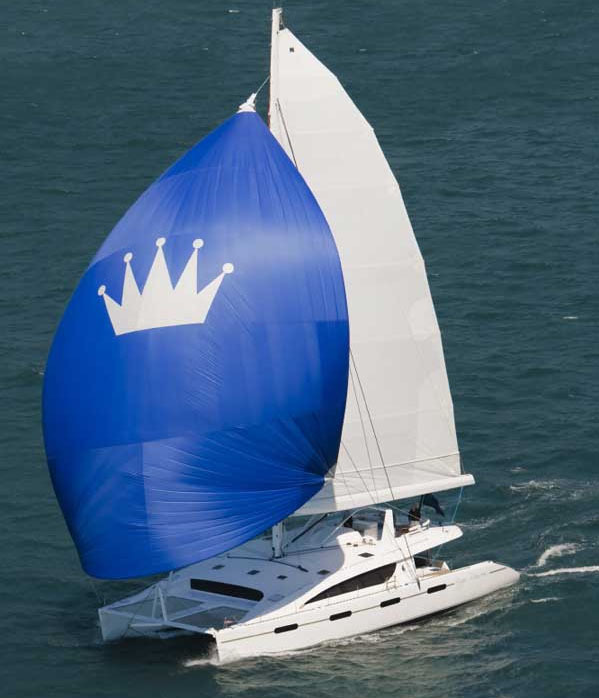 Lead follow or get out of the race, well "Kings Ransom" is now King of the world, this is what all other private charter yachts need to follow. Magnificent from outside but it is "inside" which took my breath away. Immediately you know you have found a luxury catamaran which has just taken our industry to the highest possible luxury level possible. A fresh new face in yacht chartering. Never before has any luxury catamaran looked so pleasing inside, so rich, so well done. Ostrich skin is used instead of the usual leather, warm shimmering silk duvets are used to provide the look of royalty in each cabin. Possibly the most important point is that all beds are walk-round beds, just like hotels. 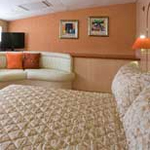 Almost no private yachts have walk round beds and yet Kings Ransom has 5 cabins with walk round beds. To accomplish this the designer has widened this catamaran a little more than normal, which also allows for more clearance from the water and a little more headroom all round. 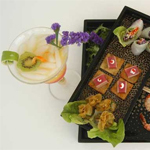 The cuisine on board is world-class, with vintage wines to match.. 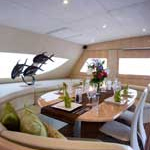 This special high-end luxury catamaran needs a very special captain and chef team at the helm. The owner did not want just anyone, he had to have a team who knew how to sail anywhere in the world, a captain who is serious about maintaining Kings Ransom, thinks ahead and outside the box. He needed a fun and friendly couple who knows how to interact with people of all walks of life and a chef of world-class capabilities. Peter Leube your captain is a very charming friendly person to be around, he gives one a sense of comfort knowing he is in charge and one can merely say I would like to go there, pointing at and island on the horizon and off we go. Peter has followed a few professions most very exciting, now he is firmly in the yacht charter industry and we are proud to have him around. 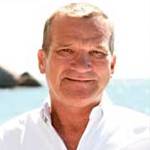 Captain Peter's professions ranges from Ocean Salvage, which is scuba diving off the South African coast, and game farming in the famous Zimbabwe (Rhodesia), but it is his past 4 years chartering in the Caribbean which set Peter apart from the others, his reputation is that of a relaxed calm popular charter yacht captain. His extensive experience consist of 6 open ocean crossings totaling more than 100,000 sea miles; he has traveled the seven seas. Captain Peter holds a RYA Yacht Masters Ocean certificate a scuba diving Padi instructor who takes great pleasure showing his guests treasures of the Caribbean sea. Coral spawning is a favorite, so are the famous wrecks of the Caribbean as well as those out of the way scuba dive spots. BOOK KINGS RANSOM NOW !